Home Local Food Hungry For *Real* Truth About Local Foods? Hungry for Truth (the media and messaging arm of the South Dakota Soybean Producers) uses checkoff dollars on ad campaigns that undermine rural communities and confuse consumers. Notice what’s missing from this graphic? How about people? How about rural communities and neighbors and livestock on the land? The few chickens in the image are only there so we know what’s inside those warehouses. We’re not meant to believe that these birds ever set foot on the grass–after all, their immune systems are much too fragile to be exposed to the outside world. Perhaps unwittingly, HFT has shown us exactly what their corporate, food-is-just-a-commodity, model of agriculture leads to: a rural landscape devoid of people and filled with massive monocultures, warehouses, and factory farms. The only thing that’s missing is the highly polluted Big Sioux River–though perhaps it’s just hard to spot because algal blooms from concentrated “nutrient” runoff turn the water green, too. HFT’s accompanying article attempts to hide one of the most important aspects of buying local–that more of the consumer’s dollar goes directly into the farmer’s pocket. Instead, it suggests that any food choice is a local choice, a message that undermines actual local producers and paints a misleading picture of the industrial food system (that, by the way, feeds millions of checkoff dollars into HFT’s slick marketing efforts). 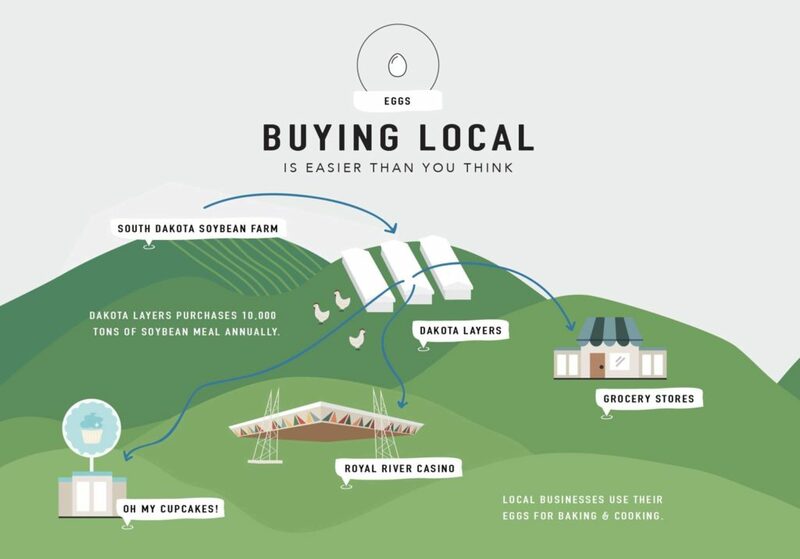 Folks who care about buying local do so for a number of reasons: great taste, freshness, supporting independent family farmers, investing in local economic development, supporting agricultural practices that protect the health of land, water, and people. Actually, finding real local food isn’t that hard–we publish the guide! They’re smart people, and they know the difference between the pastured pork they get from a farmer they know and the warehouse who-knows-from-where white meat that needs a heckuva lot of marinade to cover up the lingering flavor of confinement production. Dakota Rural Action fights for family farms and ranches, our rural communities, and our unique way of life. We believe South Dakotans want to keep people on the land, growing food and fiber in a way that supports our land, water, and communities–not turn our countryside into an industrial monoculture-and-warehouse wasteland. 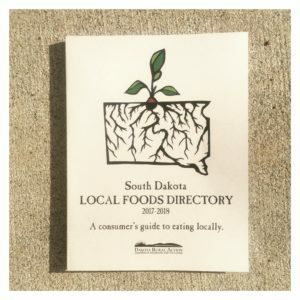 But there’s thing we do agree with–buying local IS easier than you might think–and it starts with checking out the South Dakota Local Food Directory! We publish a new one every other year, and maintain a searchable online directory as well. Check it out, and become a member of Dakota Rural Action to get the straight scoop on local foods, strong communities and an agricultural ethic that focuses on people, communities, and the land–not corporate profits and slick, misleading marketing.